However I love watching videos from beauty bloggers, I must admit that I am not extremely talented when it comes to makeup. I like it and I own a good variety of products but usually I only put some effort on it if I am doing something important. When I spend my days at the barn I don't always wear makeup but when I do, I only wear a little bit of powder foundation with SPF and mascara. As a rider, I've wanted makeup that was specially made for active people for a long time and my prayers have been listened. Katherine Cosmetics is a makeup brand for women who "live a full life in the real world". 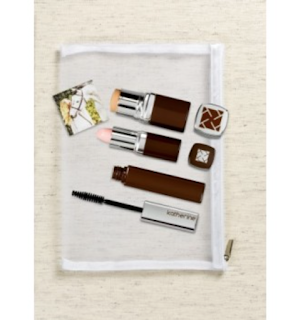 They have many products that give us an effortless look and take care of our skin at the same time. The brand has two sets that were specially made for equestrians: The Equestrian and Lillie's Flora Collection. Simple and perfect for the days spent at the barn or at shows. 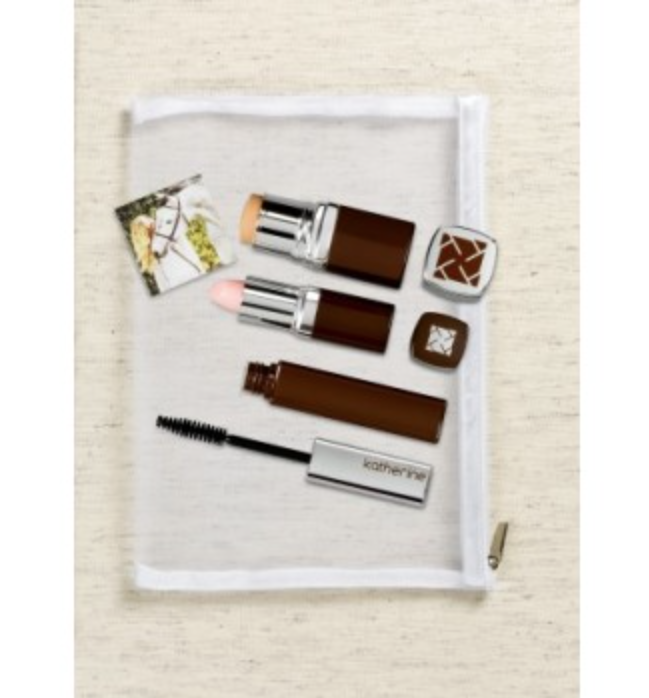 Includes a K-Sport Wow Stick with SPF 20, an A+ Friend Lipstick, one Everyday Eyeliner and one Everyday Mascara. Inspired by Lillie Keenan, this collection is named after her first pony and is a must have for the fans of this amazing rider. 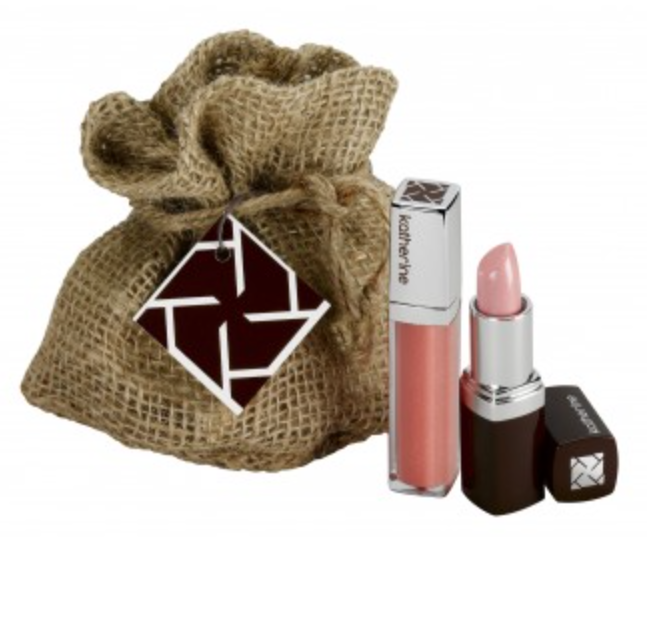 The set includes a lipstick and a SPF gloss that were chosen by Lillie for her needs as an International Jumper. My makeup skills are pretty limited! Day to day it is waterproof eyeliner and mascara, with a fine layer of dust and dirt after coming back from the yard. Nice to see a range of cosmetics made with equestrians in mind.